Colombo Telegraph last week unearthed another WikiLeaks cable. According to the cable Major General Prasad Samarasinghe the former Military Spokesman and Director, Directorate of Media in the Army, has been passing highly sensitive information to the US Embassy in Colombo on a burning issue – Abductions. 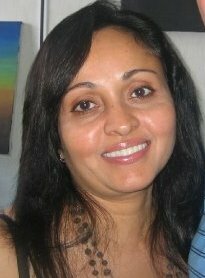 Many of those abducted were believed to have been individuals who had fallen foul of the Rajapaksa trio. Mahinda, Basil and Gotabhaya. The President’s other brother Chamal seemingly does not figure. Not in this triumvirate. The cable dated July 6, 2007 and written by then Charge d’Affaires James R. Moore to the US Embassy is classified as “SECRET” and discusses Sri Lanka’s problem of political abductions and abductions-for-ransom. The cable very specifically mentions that Major General Prasad Samarasinghe must be protected describing him as “a political insider” within the Rajapaksa administration. Why Samarasinghe chose to back his bosses and pass information to the Americans is what needs clarification. Sources speaking on conditions of anonymity to The Sunday Leader but loyal to Prasad Samarasinghe told us the Major General has insisted to confidantes that he never once met James R. Moore. Nor, did he meet Robert R. Blake Jnr. who was at the time Ambassador. He has further flatly denied having supplied any information to the Americans. But the matter most certainly does not rest there. After all, James R. Moore could not have penned a cable and used the name of a top army officer merely to lend authenticity to what he was writing to his bosses in Washington D.C. Are we to believe that Robert R. Blake would fabricate or implicate the name of a top army officer in allowing him to be named as a source of “classified, secret” information? Why Samarasinghe chose to back his bosses and pass information to the Americans is what needs clarification. The question then is this. Did the US Embassy in Colombo hoping to use him as an informer, bribe Major General Prasad Samarasinghe with an offer of citizenship in America for him and his family? Defence Secretary Gotabhaya Rajapaksa was recently quoted in a weekly English newspaper saying just that. He charged that the Americans made an abortive attempt to bribe Major General Prasad Samarasinghe to make allegations against Sri Lanka. Accusing the US Embassy in Colombo of being involved in a sordid operation, Gotabhaya Rajapaksa charged the diplomat, who had made the move after the conclusion of the conflict in May 2009 offered to accommodate Maj. Gen. Samarasinghe and his family in the US. Interestingly, Rajapaksa made these allegations before the WikiLeaks cable was unearthed. The newspaper report quoted the Defence Secretary as saying the ongoing efforts to bring to the fore a so-called affidavit should be examined in the context of an attempt to employ a serving officer against Sri Lanka. He was clearly responding to the fact that the Americans had placed on record that Samarasinghe as a serving army officer has provided valuable information to the US and contradicted the government’s official versions, on an issue that to date continues to haunt the credibility of the Rajapaksa regime. The issue is this. On June 22, 2007 America’s then Ambassador to Sri Lanka Robert O. Blake, sent a cable to his political masters in the US. The cable was classified as “confidential” and carried the reference number: 07COLOMBO899. In this, Blake wrote a summary of events which had taken place in Sri Lanka the previous day. He wrote that on June 21, a special unit of the Police Department’s Criminal Investigation Unit (CID) arrested former Air Force Squadron Leader Nishantha Gajanayake in connection with an ongoing probe into abductions, extortion and extra-judicial killings. Among other crimes, Gajanayake is alleged to have arranged the abduction and killing of two Tamil Red Cross employees on June 1, 2007. But here comes the coup de grâce. Gajanayake’s arrest was mired in political controversy. 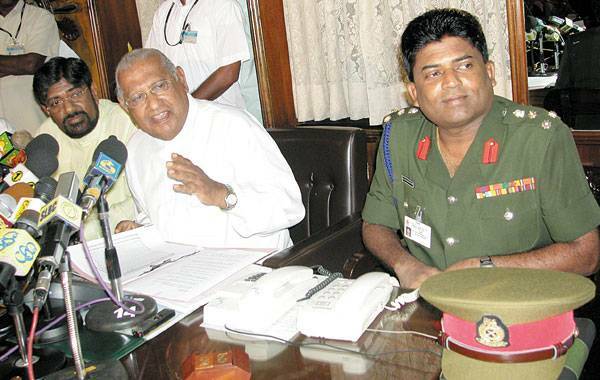 On June 18, 2007, the United National Party (UNP) filed a no-confidence motion with the Speaker of Parliament alleging that Defence Spokesman Keheliya Rambukwella deliberately misled Parliament when he said that Tamils evicted from Colombo had left voluntarily. The truth was that the government in June that year evicted from lodges and hotels 376 ‘jobless’ Tamils from the north and the east on grounds of ‘national security’ and packed them in eight buses headed for the Vavuniya district in the north and Batticaloa district in the east. The move was condemned by the Opposition and civil society groups insisting it would lead to further polarisation between the different ethnic communities and heighten the sense of marginalisation and alienation of Tamil people of this country. This was later halted after a three Judge Bench of the Supreme Court revoked the order following a petition filed by the Centre for Policy Alternatives which argued the move was a violation of basic human rights. The government counter-attacked by filing its own no-confidence motion with the Speaker on June 20 against UNP parliamentarian Lakshman Seneviratne, in part for his explosive allegations. On June 6 that year, during an emergency session of Parliament to discuss the Government’s forced transport of hundreds of Tamils from Colombo, Lakshman Seneviratne accused Nishantha Gajanayake of working on behalf of Defence Secretary Gotabhaya Rajapaksa and in concert with Deputy-Inspector General of Police Colombo, Rohan Abeywardene to orchestrate abductions. Seneviratne stated that Gajanayake arranged abductions and extra-judicial killings using Karuna’s cadres on orders from Gotabhaya and with the assistance of police officers acting under Abeywardene’s instructions. Although Seneviratne alleged he had evidence to verify his accusations, the link between Gotabhaya, Abeywardene and Gajanayake was never proved nor verified. The UNP which threatened to release information, it maintained it had gathered, that connected Gotabhaya Rajapaksa to Gajanayake has not been released to date – nor made public. Another red herring of the United National Party. Major General Prasad Samarasinghe is currently the Chief Signal Officer (CSO) of the Army and Chief Controller, Centre for Research and Development at the Ministry of Defence. He has also been the Commander for three separate Brigades in Jaffna, Wanni and Trincomalee, Colonel General Staff, 22 Division Headquarters, Trincomalee, Colonel General Staff, Directorate of Operations, Army Headquarters, Assistant Military Secretary, Army Headquarters and the Centre Commandant, Sri Lanka Signal Corps. He previously served as the military spokesman to the Sri Lanka High Commission in London on a diplomatic posting. Read the cable here. « LLRC Report: A Flowering Of Freedom OR A Panacea For Despotism?